Do You Need Something to Help Remember Your Event Experience? 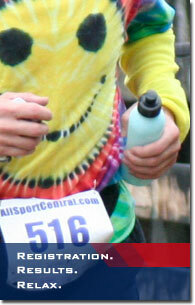 AllSportCentral provides Official Event Photos and Finisher Certificates for events all around the country. In addition to standard event photos you can get your picture on anything from mouse pad, coffee cup, or event a t-shirt. 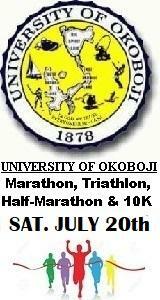 Official Finisher certifcates incorporate official event results, event director signature and event logo. Contact AllSportCentral to get more information about getting these services setup for your event. Are You Looking For Ways to More Effectively Promote and Market Your Events? AllSportCentral Sports Marketing Services allow you to focus on your event and you can leave the rest to us. We can help you design a multi-level marketing campaign that fits your budget and reaches your target audience. Our online reporting tools give access to monitor the success of your marketing campains 24 hours a day and 7 days a week. Contact an AllSportCentral representative to help you develop an effect marketing campaign for your event. Would You Like to Raise Money for Your Official Event Charities? 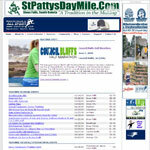 AllSportCentral Donation and Fundraising Module will help you raise money for your official event charities. Once we have configured your fundraising campaign, you can track progress via our online reporting tools to monitor the success of your fundraising campains 24 hours a day and 7 days a week. Participants, event staff, volunteers, and more can all participate in the fundraising effort by making doantions or becoming a fundraisier. Keep track of both online and offline aking there own personal fundraising pages Contact an AllSportCentral representative to help you develop an effect fundrasing campaign for your event.